Experience the rustic atmosphere in beautiful Pine Valley. Our restaurant is located just a short drive north of St. George, Utah. 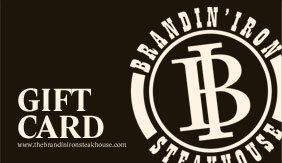 We've combined small town service and hospitality with a delicious menu to make The Brandin Iron Steakhouse a must-eat destination for locals and visitors alike. Be sure to check out our full menu. Sizzlin' steaks isn't all we do. We've got an ice cream bar, and general store that includes a soda fountain, candies, doughnuts, and other basic supplies that you may need. 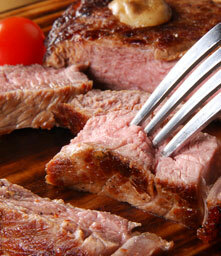 We look forward to seeing you here at The Brandin' Iron Steakhouse!